Do I Need Extra Medical Insurance Before My Children Head to Camp? Home » The Law & You » Do I Need Extra Medical Insurance for My Children Before Going to Camp? Do I Need Extra Medical Insurance for My Children Before Going to Camp? A parent is sending the children to camp. But after signing all the permission forms, the viewer now wonders if special medical insurance is needed. 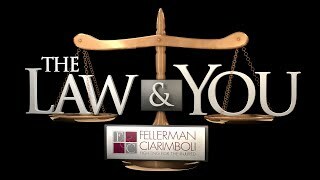 Philadelphia Attorneys Greg Fellerman and Ed Ciarimboli offer legal advice. Dave Kuharchik: We are in the mist of summer camp season and that is the topic for today’s edition of “The Law & You.” Joining us once again are attorneys Greg Fellerman and Ed Ciarimboli from Fellerman and Ciarimboli in Kingston. Good to see you guys. Greg Fellerman and Ed Ciarimboli: Thanks for having us Dave. Dave: Here is the question about camp, “My kids are going to camp in a couple of weeks. I’ve signed all the permission forms but do I need any special medical insurance for them?” Is there anything needed beyond the regular healthcare insurance? Greg: I think the simple answer is no. Your children are insured year long under your insurance policy for any health issues that occur at home, school, or at camp. The answer is no, and I know Ed had an experience with that a few years ago with one of his children when they were at camp, he could talk about that. Ed: It’s a great question because when your kids are going to camp, It’s good that you’re thinking ahead and making sure, “Hey, I want to make sure that my son or daughter, when they’re going to camp, that they’re protected. If something happens, does my insurance cover it?” The other thing I would tell you about, because it was an experience that happened in our family. Our fourteen year old son has really bad asthma. At the camp, he had an asthma attack and the camp didn’t give him his medication in time. He really had some problems with that. You want to make sure that the camp your son or daughter is going to, if your son or daughter is on any medication, number one make sure the camp has the medication, number two make sure the camp has a qualified doctor on staff that’s going to be able to administer that medication. It’s really important, especially during the summer months and how hot it is. There’s a lot of kids who have asthma; There’s a lot of kids who have allergies. You want to make sure that, if they need it, they’re going to get their medication in a timely manner. Dave: It makes sense. To get more information from Greg Fellerman and Ed Ciarimboli, what can our viewers do? Ed: They can like us on Facebook. If you like us on Facebook and if you want to post a question for “The Law & You,” do so and we’ll do our best to answer it on the nest segment. Greg: Thanks for having us Dave.